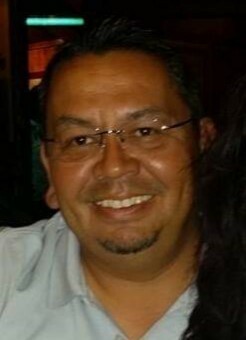 Robert M Hernandez passed away on March 31, 2019 at the age of 50. Robert was born in Las Cruces, NM to Albino and Margaret Hernandez. He graduated in 1986 from Mayfield High School. He married his high school sweetheart and served in the US Army. Upon return from his military service his life was fulfilled by the arrival of his four children. He worked for the NM State Corrections department until 2002 when he then transitioned to United States Customs and Border Protection as an officer. He was stationed at Columbus, NM until he transferred to Santa Teresa Port of Entry in 2014. Robert loved golfing, camping, fishing and marksmanship. These were all hobbies he shared a deep interest in with the company of his children and family. Robert was passionate about his love for and the wellbeing of his family, his ability to share his quick wit and unfiltered advice. Robert is survived by his mother, Margaret M Hernandez. His children, Elyssa, Kyanne, Garret and Chance Hernandez all of Las Cruces, NM. His sisters and brother, Cindy Anaya of Las Cruces, Sandra Kelley of Mesa, Arizona and Al Hernandez of Albuquerque and three nieces, Jaren Hartman, Mia and Ava Hernandez. He is preceded in death by his father, Albino A. Hernandez, CSM. A rosary is scheduled for Friday, April 5, 2019 at 7:00PM at Getz Funeral Home, 1410 E Bowman Ave, Las Cruces, NM. Public viewing will begin at 5:30PM. Funeral Liturgy is scheduled for 10:00AM, Saturday, April 6, 2019, at Our Lady of Health Catholic Church. He will be interred at Hillcrest Memorial Gardens Cemetery immediately following the mass. Reception to follow at the Elks Lodge located at 3000 Elks Drive, Las Cruces, NM 88005. All are welcome to attend and celebrate Robert’s life. In lieu of flowers, please send donations to the Parkinson's Foundation. Condolences can be sent to www.GetzCares.com. The family would like to thank the staff at Red Hawk Golf Club, the AMR teams, LCPD and Mountain View Regional Medical Center and Getz Funeral Home for all their care and efforts. To send flowers to the family of Robert M. Hernandez, please visit our Heartfelt Sympathies Store.